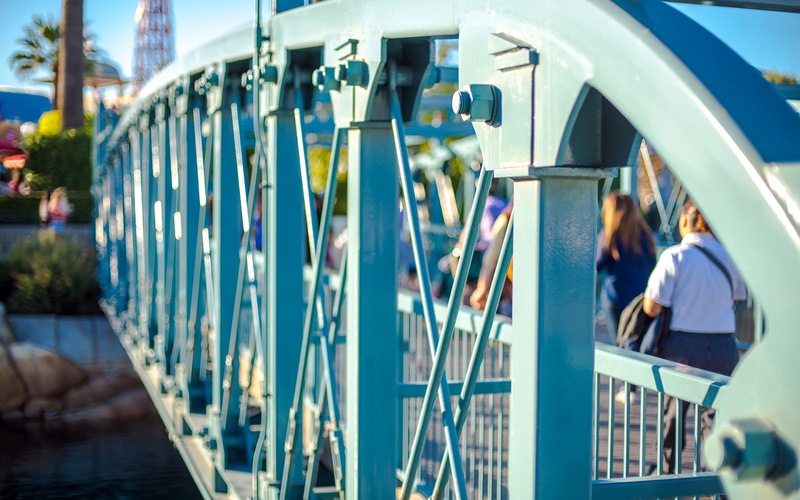 The bridge from Paradise Pier into Pacific Wharf isn't anything spectacular, but it's a nice, pure exercise in structure, and I find a certain beauty to this. Maybe it's my background in architecture, but I often like strolling over this trussed span and admiring the bolted connections, the tension rods, the sleek steel, and the crisp shadows that they create when interplayed with light. I just like the look of exposed structure! Come to think of it, it's definitely because of my background in architecture! 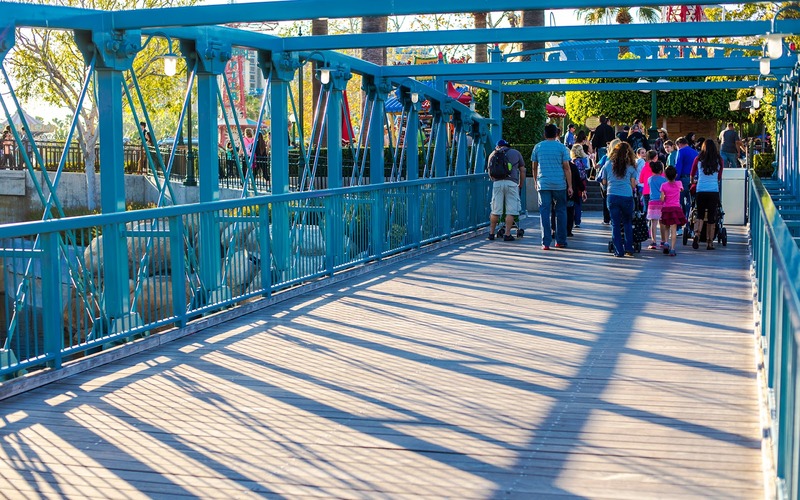 Afternoon sunlight creates shadowed patterns on the bridge walkway. An oblique look at the bridge structure.